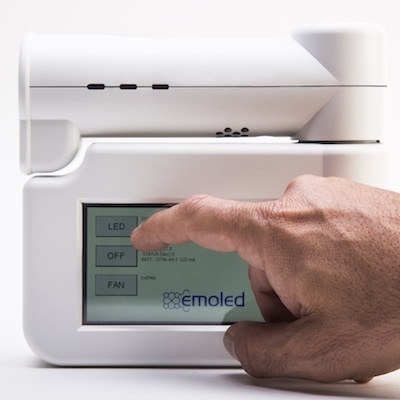 Born from a European research project in collaboration with LENS and the Nello Carrara Institute of Florence CNR in the field of biophotonics, EmoLED is a medical device based on LED technology that heals skin lesions, including the most serious and chronic. 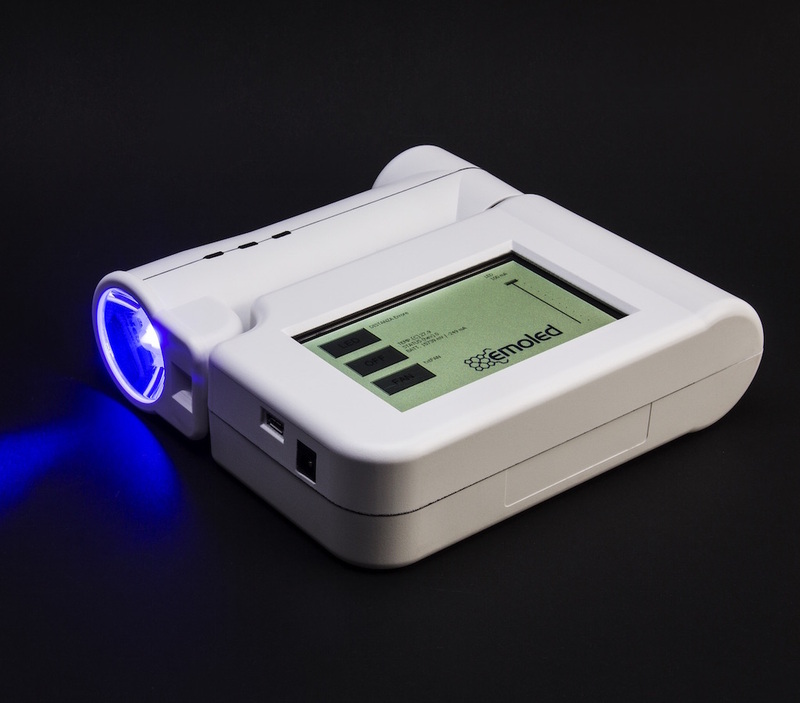 The blue light emitted by EmoLED interacts with photoreceptors in the skin and blood cells by stimulating the regenerative processes in a natural way. Healing process is shorter with better results even from an aesthetic point of view. EmoLED works on skin wounds with photothermal and photochemical activity targeted on red blood cells present in the wound bed and injured epithelial cells. Therapeutic effect applies on the different phases of healing process, from the initial homeostasis – EmoLED is able to induce coagulation in 18 seconds – to the tissue reconstruction phase. The amount of collagen available, the way it is distributed and its morphology are essential for determining the aesthetic result: instrumental observations show that wounds treated with EmoLED are more similar to the non-injured skin samples compared with samples treated with conventional methods. EmoLED is effective not only in treating normal wounds, but also chronic lesions. Despite having different features and causes, these lesions have in common the lack of bleeding and a reduced vascularization. By working on the protein known as Cytochrome C, present in most endothelial cells, EmoLED activates the healing process also when haemoglobin is absent. 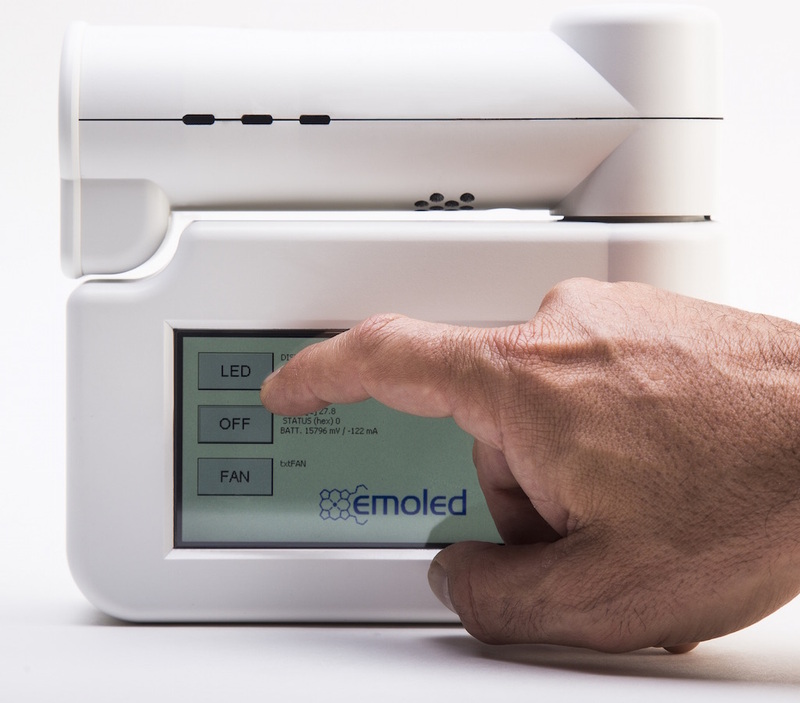 In order to carry on the development and marketing of EmoLED, an ad hoc company has been established: EMOLED srl, spinoff of Light4Tech.